Who can join the Ever Bilena big beauty challenge? and other personal care products. The contest, which began on the first week of December and will end on the last week of February, will test the creativity of the participants as they create their versions of Ever Bilena’s weekly theme which will be announced every Monday on Ever Bilena’s Facebook page. One winner will be announced every week and will take home P10,000 cash. 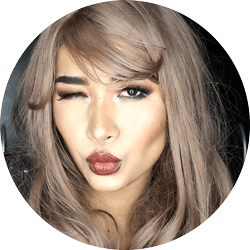 Big cash prizes await make-up lovers, budding artists and video bloggers like Week 3 winner Christine Gem Anicas (shown) at Ever Bilena’s BIG Beauty Challenge! In Week 3 Christine Gem Anicas won the challenge. Super congratulations, Christine! Your makeup is so fab. 10% most number of views and shares.